Good luck trying to get a broken Apple Watch repaired. Replacements are as scarce as brand new ones. 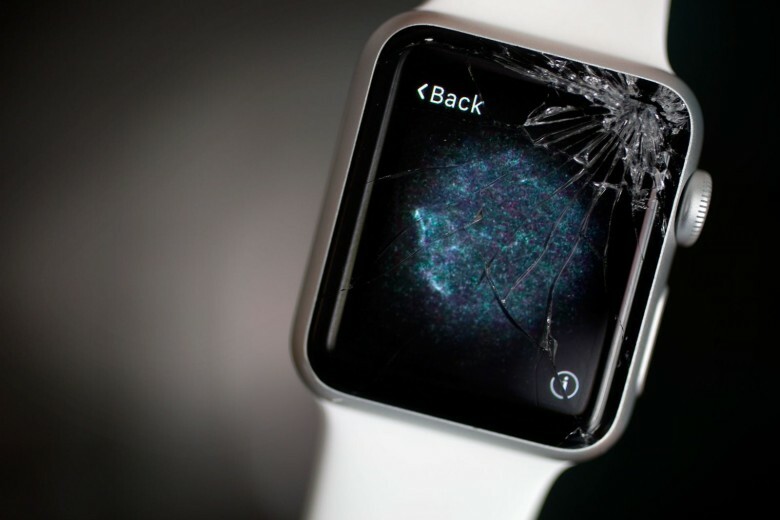 What happens when you try to get a broken Apple Watch repaired? Not much of anything! I know this because my Apple Watch broke last week and I have a repair order pending. Luckily, the watch is covered by Apple’s AppleCare+ extended warranty, which covers accidental damage. It also offers two-day express replacement. No downtime without your new precious. This would be great, but Apple doesn’t have any watches to replace it with. Apple’s watches are in such short supply, it might be Christmas before a replacement is available. Last week our photographer borrowed my brand new Apple Watch to snap a quick pic. Even though I’ve had the Watch only a short time, it’s already become a treasured family heirloom and I was reluctant to take it off my wrist. No sooner had I done so than the clumsy oaf dropped it on the floor and shattered the screen. “I broke your watch,” he said. But he had. It dropped only about 18 inches onto a concrete floor. The watch landed square on its corner and shattered the screen. The screen still works, but it’s shedding tiny shards of glass everywhere and can’t be used. AppleCare+ offers two years of service (rather than the standard year for defects and workmanship) and covers two incidents of accidental damage. I wouldn’t normally buy AppleCare+ because, after years of buying Apple products, I’ve never used it. The watch though — sheesh, I had a feeling I’d need it. AppleCare+ for the Watch costs $49, plus a one-time fee of $69 for any accidental damage, adding up to a total of $118 to fix the bolloxed screen. That’s still pricey, but at least I’ve got one more accident up my sleeve! I called up Apple’s service center. Usually it’s a great experience: You have the option to chat online or have a service tech call you. I opted for the call and in a couple of minutes had it all squared away. Or so I thought. Since then I’ve been expecting an express shipping box in the mail. It would have been quicker to drop the watch at a local Genius Bar, but the prospect of driving across San Francisco filled me with dread. Instead of repairing damaged watches, Apple appears to be replacing them with new units — a practice known as whole-unit exchanges. Sounds great, and perhaps in a year or two it will work as advertised. But right now, watches are in such short supply, the replacement is on hold. Apple’s support website says: “Product replacement pending.” There’s no indication if or when that will change. Colleagues in the office are still waiting for their watches to arrive that were ordered back in April. New watch orders are scheduled to ship in July — six weeks away! Luckily I preordered a second Apple Watch — also a Sport — which is keeping my wrist warm as I type. And the photographer? He’s taking pictures from across the room with a zoom lens.